The Millennial generation, those born between 1980 and 1995, seek more workplace flexibility, better balance between their work and home life, and opportunity for overseas assignments as keys to greater job satisfaction, according to the largest, most comprehensive study conducted into the attitudes and behaviors of Gen Y – a two-year undertaking initiated by PwC. The research both confirmed and dispelled stereotypes about the Millennials who already make up about two-thirds of PwC's global workforce. While younger workers are more tech savvy, globally focused, and willing to share information, the study found they did not feel more entitled or less committed than their older, non-Millennial counterparts, and are willing to work just as hard. The global survey also found that many of the Millennials' attitudes are consistently shared by their more senior colleagues. PwC's NextGen: A global generational study, which was conducted in conjunction with the University of Southern California and the London Business School, represents the most ambitious research into the millennial generation, or 'Generation Y'. 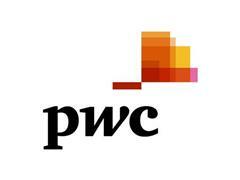 The study included responses from 44,000 employees throughout PwC's global network of professional service firms, with almost one quarter of the responses coming from Millennials. The research, compilation and analysis of its findings took place over two years. The study sought to measure factors relating to workplace retention, loyalty and job satisfaction. It compared responses among Millennials to those of non-Millennials at the same stage of their careers to assess generational differences between the two sets of employees. "The breadth and scope of this research is unprecedented. It captures a broad array of insights into the motivations, priorities and work preferences of the youngest generation now in the workforce, as well as of their more senior colleagues," said Dennis Finn, Vice Chair and Global Human Capital Leader at PwC. "The Millennial generation is already transforming long-held management practices within the workplace. Employers who want to recruit Millennial employees and keep them engaged and happy will need to adapt to meet their needs." •	Millennial employees want greater flexibility…and so does everyone else. Millennials and non-Millennials alike want the option to shift their work hours to accommodate their own schedules and are interested in working outside the office where they can stay connected by way of technology. Employees across all generations also say they would be willing to forego some pay and delay promotions in exchange for reducing their hours. 	Given the opportunity, 64% of Millennials (and 66% of non-Millennials) would like to occasionally work from home, and 66% of Millennials (and 64% of non-Millennials) would like the option to occasionally shift their work hours. 	Across the board, 15% of all male employees and 21% of all female employees say they would give up some of their pay and slow the pace of promotion in exchange for working fewer hours. •	Millennials put a premium on work/life balance. Unlike past generations, who put an emphasis on their careers and worked well beyond a 40-hour work week in the hope of rising to higher-paying positions later on, Millennials are not convinced that such early career sacrifices are worth the potential rewards. A balance between their personal and work lives is more important to them. 	71% of Millennials (vs. 63% of non-Millennials) say that their work demands significantly interfere with their personal lives. 	Gobally-focused. More than one third (37%) of Millennials would like the opportunity to go on a global assignment (vs. 28% of non-Millennials). 	Transparent. Almost half (43%) of Millennials say they have discussed their pay with co-workers (vs. 24% of non-Millennials). 	Not entitled. Millennials say they do not deserve special treatment and are equally as committed as non-Millennials. PwC's NextGen study also uncovered similarities and differences among Millennial employees around the world. For example, Millennial workers in each participating PwC office aspire to have greater work/life balance, but the issue appears to be less of a priority among workers in the East region (Pacific nations) than in other parts of the world. "PwC's study discovered that the stereotypes about Millennial employees are more false than true. Millennials' attitudes are similar to those of older employees," Finn said. "The compelling nature of this research will enable PwC to lead by example, and has already helped guide us toward making cultural and structural changes in how we manage, promote and compensate our people," he added. "By 2016 almost 80% of our entire workforce will be Millennials. We are passionate about providing them, and all our people, with the best environment to maximize their personal development and performance." Working with researchers at the University of Southern California and London Business School, PwC conducted a comprehensive study of its global workforce, the one of the largest undertaking of its kind. Some 44,000 online surveys were completed anonymously by PwC employees in 18 global territories, across all of the firm's business lines and by employees from all generations. Researchers also completed more than 300 interviews, both one-on-one and in focus groups, and more than 1,000 Millennials participated in an online social media "jam" in which they shared their perspectives and opinions on a range of workplace and career issues. To pinpoint and compare findings between Millennials and non-Millennials, a sub-set of employees at the same career stage (9,120 Millennials and 4,030 non-Millennials at the senior associate and manager levels) was culled from the larger research for subsequent analysis. The news release specifically compares those results. More on the PwC's NextGen Study may be found at http://www.pwc.com/gx/en/hr-management-services/publications/nextgen-study.jhtml.